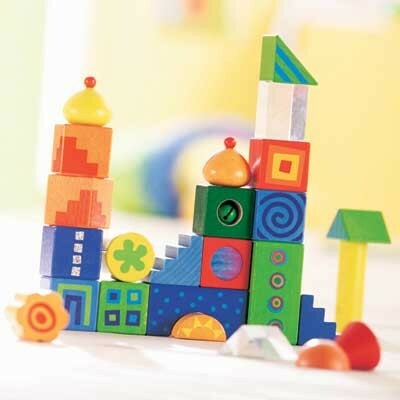 Pile these 26 colorful blocks and be amazed! 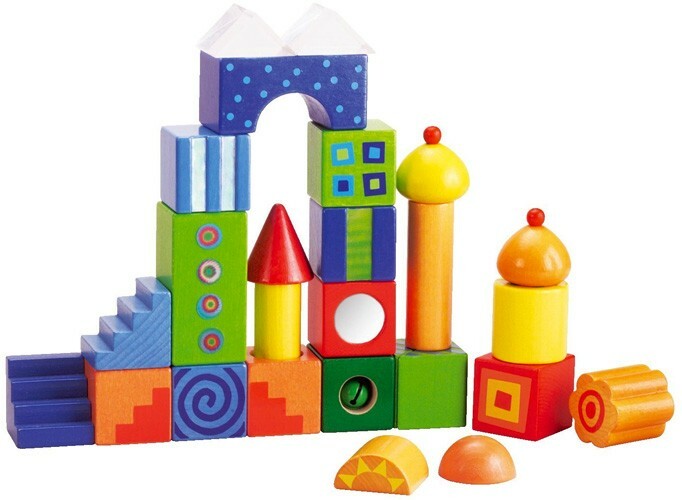 Thanks to their optical effects these beautiful blocks will fascinate children. 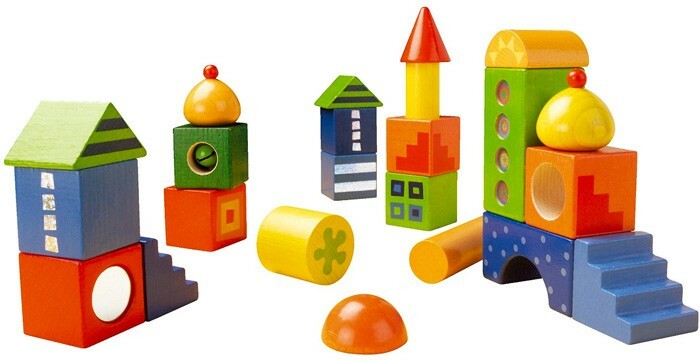 These blocks transform a child's first buildings into authentic little artifacts of many shapes and colors. Sweet ringing little bell provides incidental music. 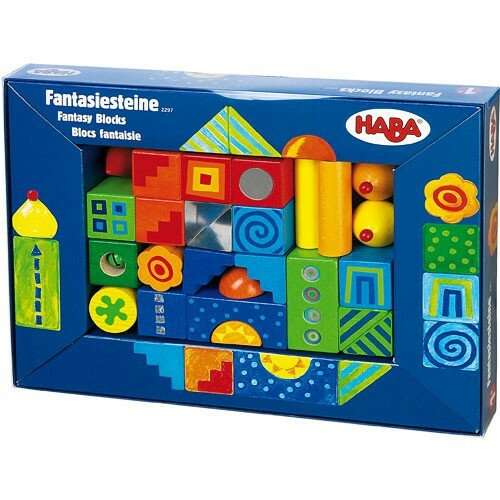 Haba Fantasy Blocks are made of solid beech wood and non-toxic, solvent-free dye, so you can feel good about letting your little one play.